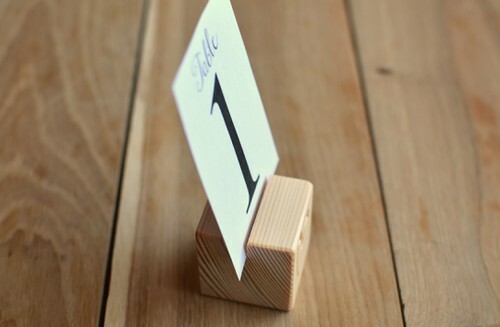 A set of 10 wood place card holders or table number holders for wedding, party or cafe and restaurant. 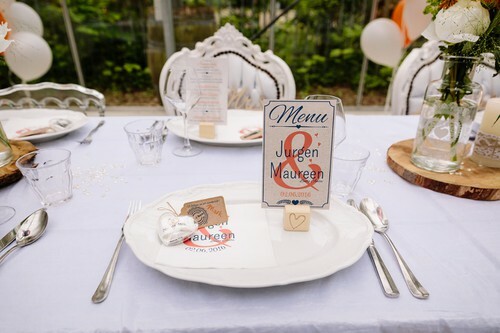 These rustic place card holders are made of all natural pine. 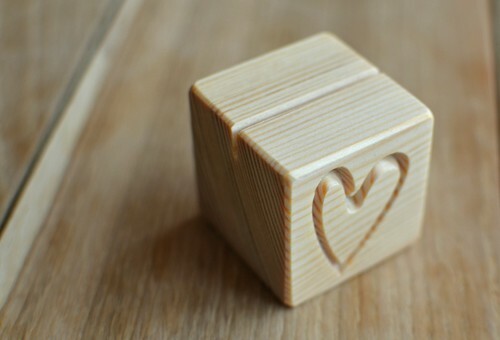 You can use them all natural or paint or color them afterwards. 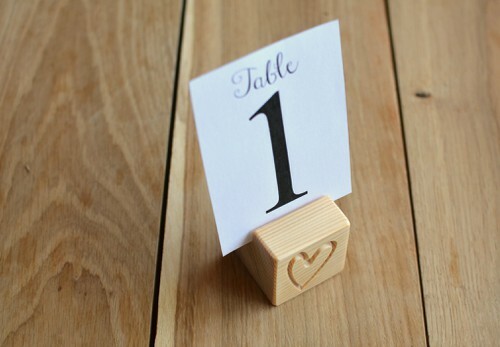 Perfect for DIY wood table number holders or place card holders or any other table decorations. 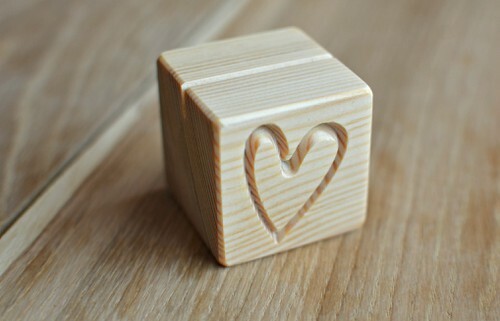 The price listed is for a set of 10 wooden cubes with a symbol of heart engraved. 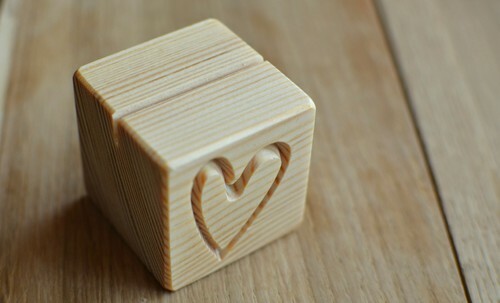 When placing an order please choose if you want to have these wooden holders polished with beeswax or without. 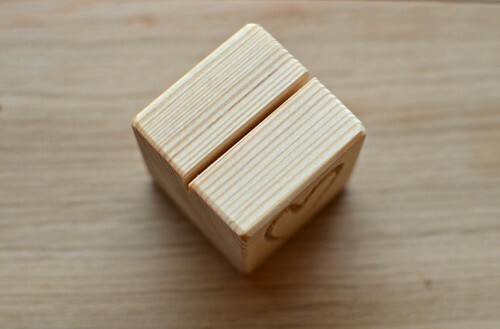 If you do not plan to paint or color them afterwards, we recommend choosing beeswax finish. If you plan to paint them, please choose the option without wax finish.